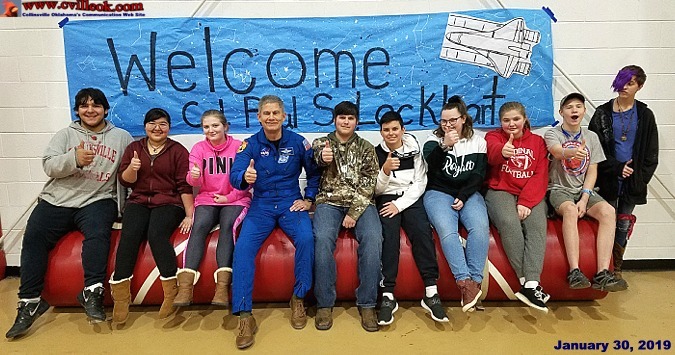 Space Shuttle Pilot Col. Paul Lockhart explained and showed video to the Collinsvile students about his experiences taking the space shuttle to the International Space Station and returning back to earth in 2002. These two students help demonstrate the complexity of the catching up with the space station with variances in speed and altitude with both in orbit around the earth. He visited the Collinsville Upper Elementary before arriving at the Middle School where these photos were taken Jan. 30th, 2019.